We launched our new US timezone support in August 2014. So far the change has been a huge success. Things are going smoothly and we’re getting great feedback from our clients. We’re open non-stop from 2pm Sunday to 5pm Friday (PDT). Between opening and closing there is always a team standing by, ready to serve you. Anything sent in Friday afternoon or over the weekend will be queued up for our team Sunday afternoon. If you'd like to chat with our team about your request. You can do so at any time during our support hours by going to our Help Center and clicking the "Chat with us" button in the bottom right corner. Or if you'd prefer to talk on the phone, you can schedule a call with our team to discuss and questions you might have. 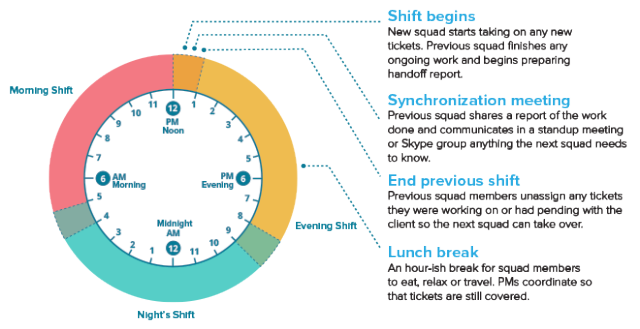 We have three squads working in 9 hour shifts, all with an hour overlap so we have a smooth hand-off between shifts. Based on our analysis of the support tickets we receive, these squads can take care of about 80% of the web requests that come in. Shift schedules and the process for handoffs indicated in Bangkok local time (UTC +7). 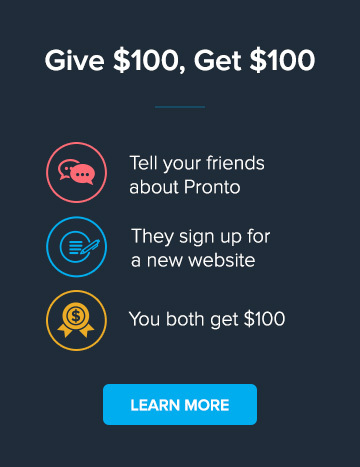 The remaining 20% of tickets require more complex attention, such as copywriting, design, SEO or email newsletter updates. As these come in, they are reviewed by the support team and as required, are queued up for our production teams, whose shift typically runs from 9am to 6pm. We do our best to pass requests along from shift to shift, so we can continue working on your requests throughout the day. There are cases from time to time where it’s better to have a single person stay on point; we use our best judgement in these cases to ensure you get the best service and quality. 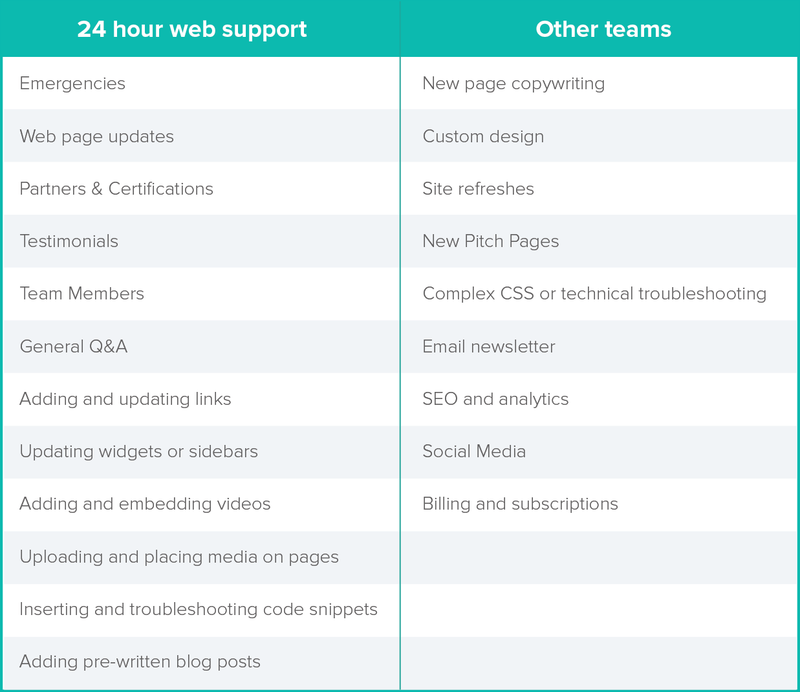 What types of requests qualify for 24 hour support? Our top priority is emergencies. If something is down, broken or urgently needs attention, we’ll jump on it quickly after you submit a ticket. We handle all other types of web support requests as they come on on a first come, first serve basis. Requests for our 24 hour web support team can be handled at all hours of the day. You don't need to worry about all this detail however. ALL requests are first reviewed by our 24 hour web support team. All you need to do is send in a ticket and we'll make sure it gets to the right place as soon as possible. Create separate tickets for multiple, unrelated requests - That way we can get started working on your website while you prepare for the next updates. Plan in advance for bigger projects - Small updates shouldn’t take more than 24 hours, and can sometimes be completed in less than 2 hours. Larger projects that involve copywriting and mockup may take longer, from 2-7 business days. If you’d like an immediate status update on an existing ticket, create a new one - Open, existing tickets are assigned to a dedicated project manager. Sometimes if you update that ticket they might not be immediately available. If you create a new ticket, a team member will quickly be able to help you out. If you create a new ticket and don't get an auto-confirmation message within 15 minutes, something’s wrong - Make sure the ticket was actually created by logging into our support helpdesk, or chat with us to confirm. The team has been running on 24/5 schedule for more than 4 years, but we’re getting great feedback and plan to refine it better. We’d love to hear your feedback, so please let us know how we can improve. Or if you’re feeling lonely during the week and need somebody to talk to, our agents are ready and happy to chat with you!